A true heirloom piece: crafted in Europe in the years around 1910, this large Edwardian brooch still enchants with its sparkling luster, exquisite gemstones and impressive size. The center sapphire is of a beautiful sky blue color and weighs in with a breathtaking 13.50 carat. Originating from the island of Ceylon so famous for its fabulous gemstones, it is entirely untreated and unheated. 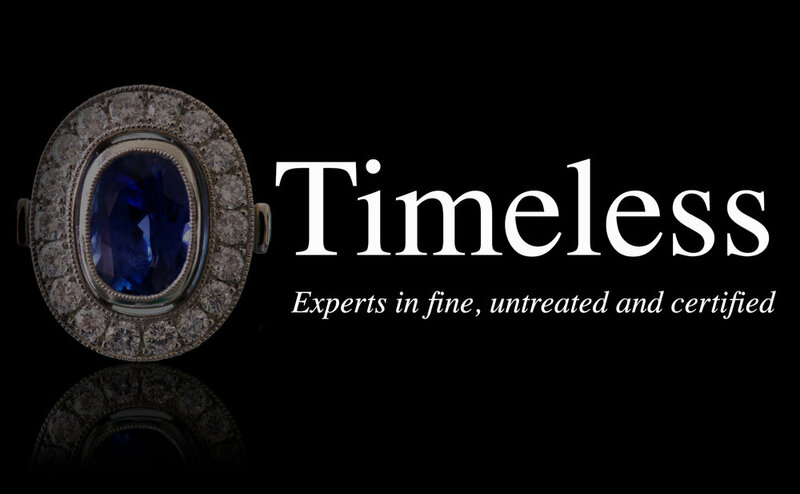 Both the Ceylon origin and the untreated condition of the sapphire are confirmed by a gemological report issued by Gübelin, the renowned gem laboratory located in Lucerne, Switzerland. The sapphire is surrounded by 44 diamonds in various old european cuts, of good to excellent color and clarity, with a total weight of approximately 4.80 cttw. The metalwork is finely handforged and pierced platinum 950 (tested as such in our atelier), with very fine milgrain details to the edgework. Only the pin is a later replacement in 18K white gold. Gently restored by our goldsmith, the beautiful patina of the platinum left intact, the brooch comes in excellent antique condition, with only light traces of wear consistent with age. Comes with a recent appraisal by the Gemological Appraisal Laboratory (GAL), New York, stating a replacement value of $31,500.00.